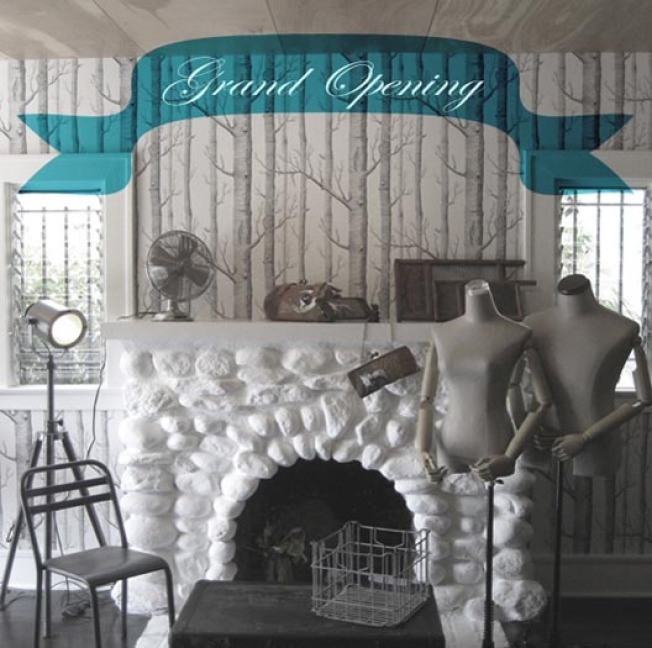 Multi-label boutique Milkmade Select Shop is holding its grand opening this Saturday, September 20 from 6pm-10pm at 1413 Abbot Kinney. Interestingly, the shop is having a 30%-50% off sale on select items and 10% off all purchases to kick things off. Bites and drinks. RSVPs are being taken at inquiries@milkmade.eu. We're digging the wallpaper and cobbled fireplace.